The Chinook lived along the Columbia River in present day Washington. Their villages were filled with houses built into hills and covered in bark and brush, these houses held a whole family. 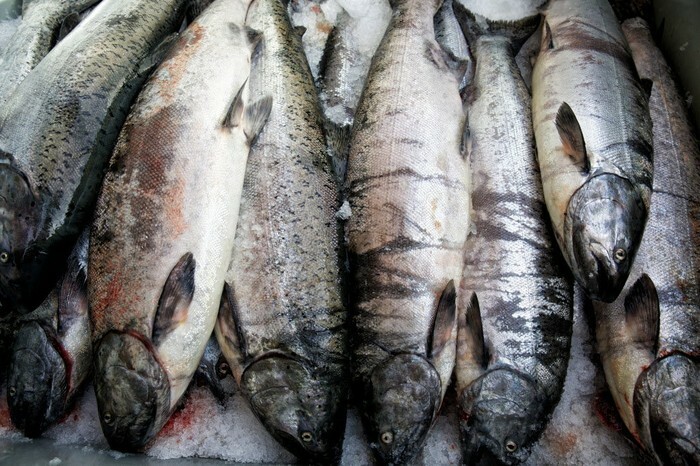 Their main food source was salmon, but Chinook men also caught other fish and sea animals. The Chinook woman gathered clams, mussels, shellfish , berries, and roots. The Chinook men hunted elk, deer, buffalo, and sea animals. Chinook people were not nomadic, they stayed in one place most of the time. The most famous Chinook leader is named Comcomly. He welcomed the Lewis and Clark expedition. The Chinook people have existed for around 4 thousand years and still live today. Chinook territory was the west side of present day Washington and the Northwest side of present day Oregon. By 1600 the Chinook tribe had reached around 4,000 people. Languages the Chinook spoke were WaWa and Kayikkee , the most common language spoken in the Chinook tribe is the Chinook language. Men wore breech cloth and woman wore cedar bark, and grass skirts , some people wore basket hats, in the rain they wore tule rush capes, and In the cold weather they wore fur robes and moccasins. Chinook Indians used spears for fishing, hunting , and protection, in war they also used bow and arrows. Their villages stood right along the river and the ocean so they had an escape route. Chinook Indians have a God named Neahkanie, God of Creation. They believe in spirits so Neahkanie was a spirit in a raven. 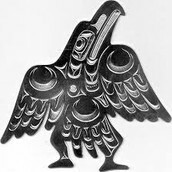 If a man saw a raven it would give him good luck and strength. The Chinook people respected the Earth by only taking dead plants to burn because they knew the Earth is living too. There were 12 groups in the Chinook tribe and each group had a chief, the chief enforced rules for that group. A chief could be a man or woman but it was always a man. The oldest capable man in the family would teach the boys how to hunt, fish, protect, and everyday skills of a Chinook man. The oldest capable woman taught the girls how to make clothes, cook , and garden. Chinooks main food source salmon! People eat salmon all the time today! The Chinook fished for these using canoes in the river. Salmon are an excellent source of protein! This is the Chinooks God, Neahkanie! This how the Chinook people first painted Neahkanie about 4,000 years ago. This is a picture of Chinook houses! See how they are built into the hill and covered in brush and bark, inside is a dome shaped room. The Chinook people were the best trading tribe in present day America. 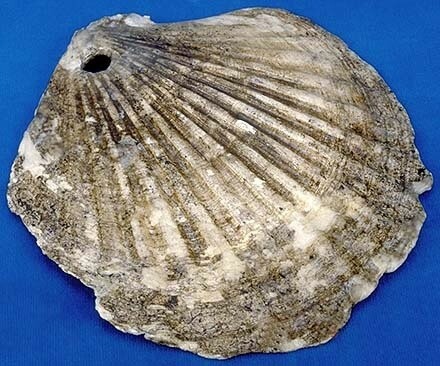 The Chinook used shells as money because they were very valuable in that time, Chinook villages were on the ocean side so shells were high in stock for the Chinook tribe. A few shells could buy you a grocery bag worth of tools, now that's a bargain!